In the last years a lot has been said and written about a global epidemic of obesity. In Denmark alone, between 30 and 40 per cent of the adult population is estimated to be overweight or obese. Obesity is regarded as one of the major threats to the health of populations, and it ranks high on the agenda of both politicians and researchers. The present article describes a clinical trial with moderately overweight, inactive males, who, through a twelve week intervention period, were prescribed a training schedule of 0, 30 and 60 minutes per day respectively. 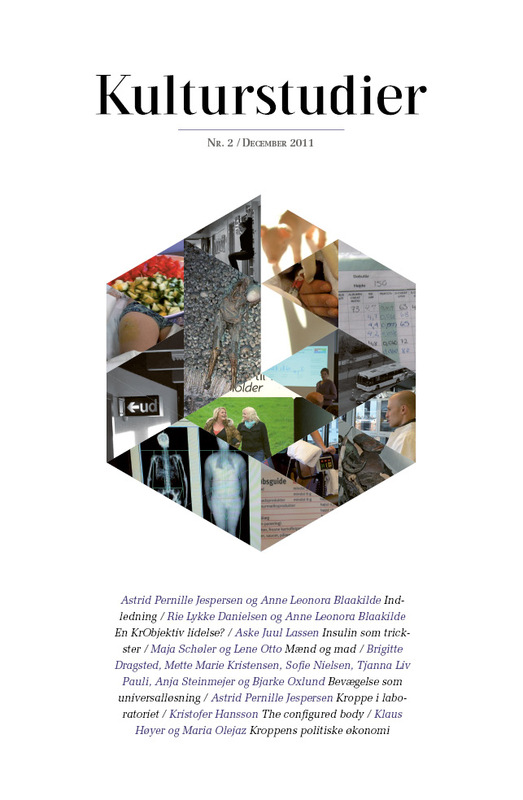 The purpose of the trial is many fold; one of its purposes is to examine the insulin sensitivity of the participants, another is to investigate the effects of physical exercise on a number of metabolic parameters; further, there is an investigation into the response of the appetite hormones to the increased level of activity, and finally there is a cultural-analytical investigation into the experiences of the research participants during and after their participation in the trial. The present article focuses on the various bodies that are staged and materialized through the trial. This is because the obese body does not participate in the trial in a singular form, but is configured and re-configured in various forms, e.g. as part of a social body, the individual and personal body and the research body. The article is thus an investigation into how these different versions bodies are created, maintained and handled in the intersection between laboratory practises, individuals and a societal challenge high on the political agenda. Artikler udgivet i Kulturstudier må ikke frit offentliggøres på egne eller institutionelle hjemmesider i deres helhed det første år. I tilfælde af, at den institution man er tilknyttet kræver publicering indenfor systemet, kan man her med fordel angive en kort sammenfatning af artiklen, og så et link til Kulturstudier, hvor artiklen ellers er frit tilgængeligt.